LUX Resorts & Hotels has introduced new developments for LUX * South Ari Atoll after its reopening in late 2016. 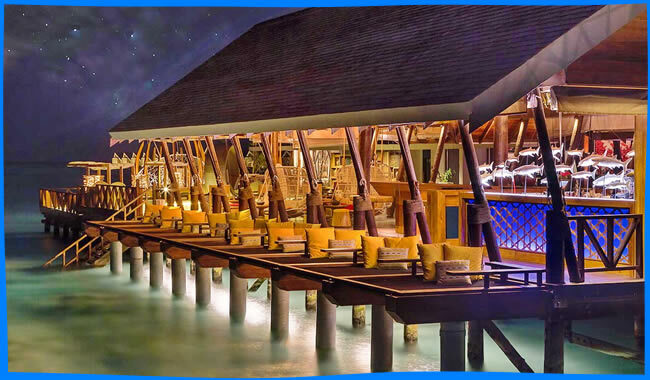 From the full reconstruction of the resort, LUX South Ari Atoll, the largest of LUX Resorts & Hotels' fastest growing portfolio, has now completely changed its face to a stunning chic beach house. Located on one of the fabulous islands in the Maldives, the 5-star resort offers to the avid epicureans a chance to enjoy both a peaceful haven and water adventures, including world-class diving. 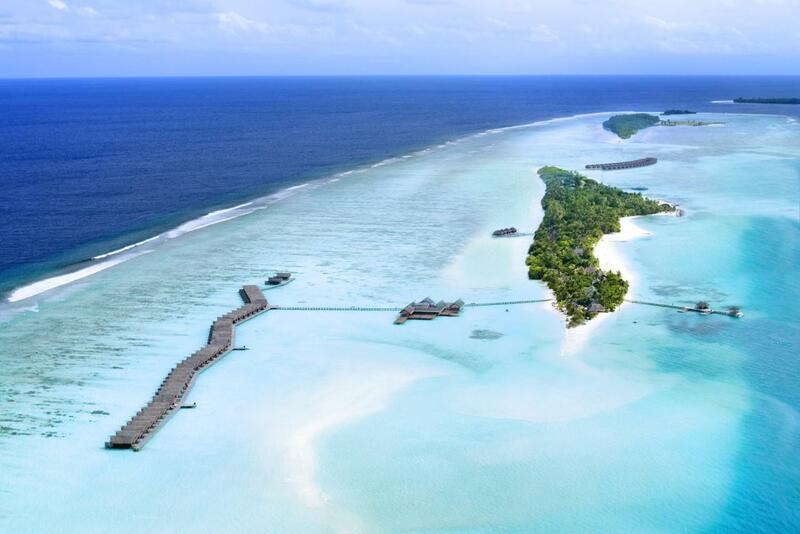 LUX * South Ari Atoll is located on Dhidhoofinolhu Island. This island is one of the longest in the Maldives, 1.8 km long and 200 m wide. It is the perfect getaway with the 4 km of white sands fringed with tropical vegetation. 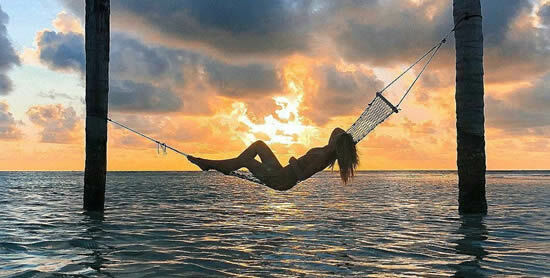 As the only settlement in South Ari Atoll, this luxury resort offers the real Maldives experience. A relaxed atmosphere provides refinement at every step with anything from an impromptu movie theater on the beach to pop-up music performances. The lagoon is ideal for snorkeling with whale sharks, and two swimming pools and a spa on this idyllic island offer a guiet break from the beach. Explore the secret paths through tropical gardens, or delicious fare in numerous restaurants. Wherever you go to LUX Maldives, everywhere you can expect pleasant surprises. LUX* SOUTH ARI ATOLL enjoys a private, tropical location that is remarkable both for its beauty and for its proximity to rare and spectacular marine life. 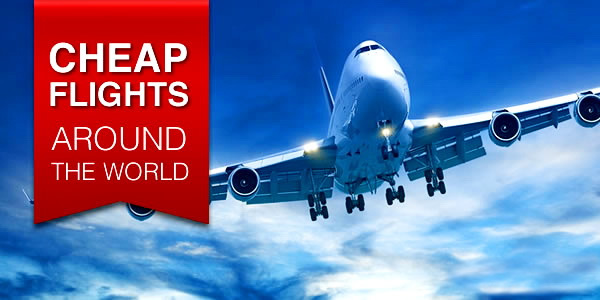 The resort is 25 minutes seaplane journey from Male airport during daylight hours, or 20 minutes scheduled domestic flight + 10 minute speedboat option also available late evening. Whether it's hanging over water or scattered along the beach, every room and villa in LUX * South Ari Atoll is designed to reflect the best part of the island's enchanting setting. Stretched along the beach line and standing on piles over a crystal clear lagoon of swarming fish, live 193 pavilions and villas. On land or water, overlooking the sunset or sunrise, the full re-design of these spacious rooms and suites was occupied by the famous design studio P49 Design, presenting for the real estate a fresh marine atmosphere. Light, fresh and spacious, with splashes of bright colors of the island each room has a sophisticated sense of simplicity with a stunning view of the sparkling lagoon and white beach. 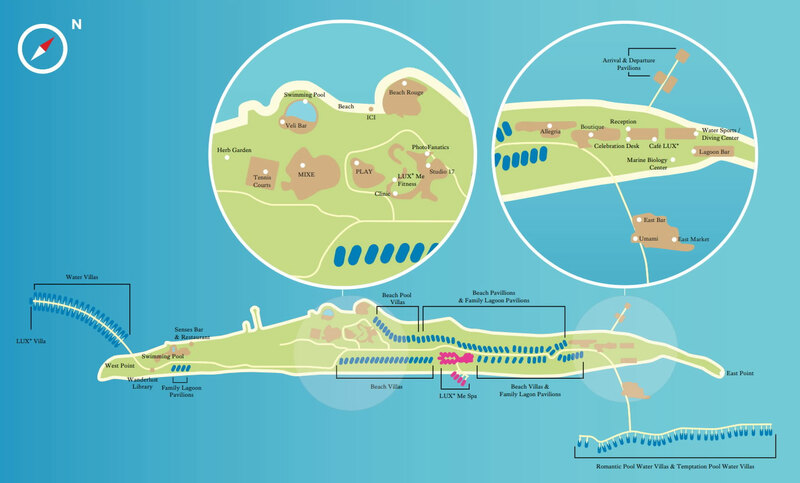 Two kilometers to the west, 38 water villas and two-bedroom LUX Villas will complement 105 Beach Villas, 12 of which have their own pools. Both categories of villas are designed to be an ideal place for families or small groups. Food and drink quickly become a way of life on the island in LUX South Ari Atoll. Seven restaurants and five bars received serious conceptual updates and design under the leadership of corporate chef Walter Lanfrenchi and studio P49. Delicious and compelling LUX restaurants, all offer exceptionally sumptuous meals that should not gut your budget. 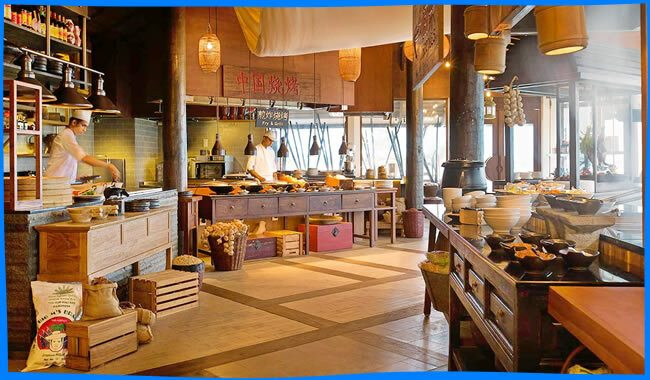 Enjoy the best dishes, flavors and cuisine, with recipes from many cultures and influences in any of eight authentic restaurants. New Asian flavors will abound in the East Market restaurant, presenting a modern look at the bustling local evening market. Uma-mi is an elegant and refined setting with beautifully presented and quality Japanese haute couture food. 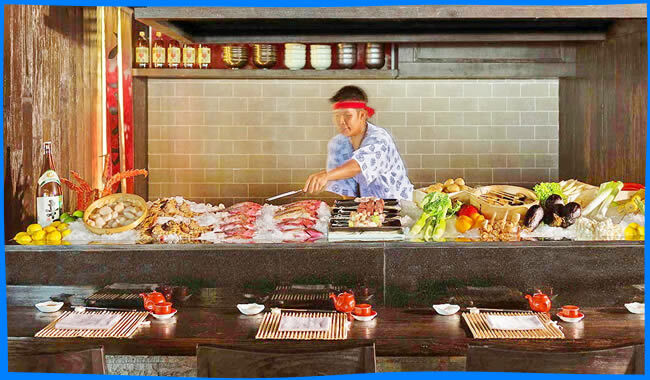 The main menu items include special sushi, teppanyaki and robatayaki, accompanied by the largest selection of sake and Japanese whiskey in the Maldives. Beach Rouge promises the latest embodiment of the concept of the beach club, the dynamic LUX brand that first appeared in the flagship LUX Belle Mare in Mauritius. 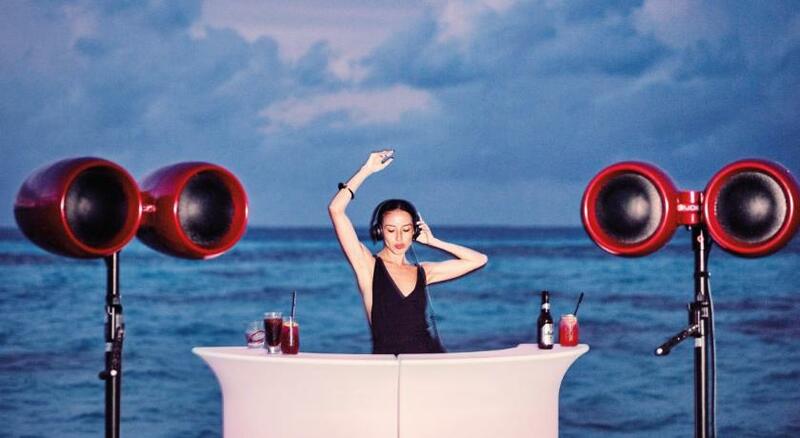 By injecting the laid-back energy of a fashionable Mediterranean beach club into this private island in the Maldives, Beach Rouge will be the favorite among the golden youth. Expect ceviche, carpaccio and fried fish, in a perfect marriage with chilled pink wine and lazy dances for good chill out music. Round out the dining options in LUX South Ari Atoll: Allegria (Italian cusine), Senses (Indian and Arabian) and Mixe (international buffet) - beach restaurants that will delight all tastes. For those who want to explore the ocean's depths, Lux * offers access to some of the most beautiful dive sites where diving lovers can see the abundance of parrotfishes, butterfly fishes, manta, tuna and barracudas, not to mention the impressive but gentle whale sharks and manta rays. You can easily come across elusive dolphins or green turtles. Popular dive sites include: Madi Varu - cleaning station for Manta rays; Maamagili is suitable for beginners, and those who have never dived; Aa Thila for more experienced and Thinfushi Beru Tila for advanced divers. The resort's dive center offers 50 incredible dive sites, where two wrecks and night diving are a few minutes by a diving boat from the island. Whale Shark Paradise, LUX South Ari Atoll is probably the only 5 star resort that is 20 min away by boat from the Whale Shark Marine Reserve you can find in the Maldives. This whale sharke spot in south Ari atoll is the only part of the world where you can see whale sharks all year. August has a great start on the part of Whale Sharks when these gentle giants are nearby, just 25 minutes from Lux at dive sites “Back reef” and “Didhoo long reef”. The best of it… all the divers have the pleasure to meet the whale sharks while diving for at least 1, or some of them, several times! That’s what makes diving at South Ari Atoll a truly unforgettable life time experience. Kid's club "PLAY" welcomes children aged 3 to 12 years and offers to explore an array of the wonders and delights of island life. Under the supervision of a team of highly qualified and enthusiastic teachers, children are instilled with love for incredible nature and local culture, and there are a number of fascinating programs for sports and outdoor activities. From art classes and treasure hunt, to interesting and informative tennis lessons "Teddy", PLAY is the main children's playground on the island. Beach Pavilions are superb for families with their island chic décor and internal doors that interconnect two pavilions. For families looking for a bit more space, the Family Lagoon Villas are perfect with two spacious bedrooms, sleeping up to six people. These luxurious overwater villas have direct lagoon access and a private plunge pool, making an ideal spot to watch the sunset over the Indian Ocean. 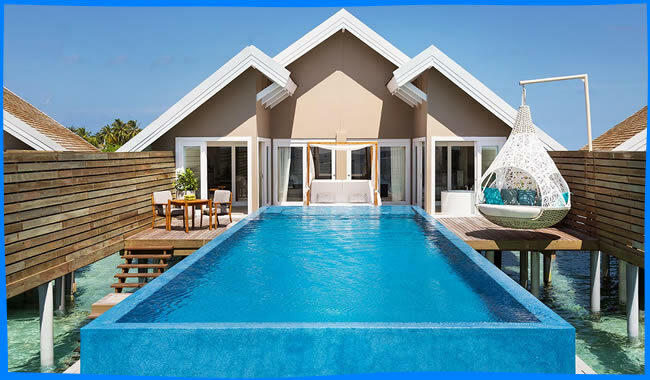 For the ultimate in indulgence, opt for the Temptation Pool Water Villa which has the added benefit of a 14 metre private pool, separate living room with glass floor and a Jacuzzi! It's no secret that the Maldives are one of the busiest diving sites in the world, and although there are certainly a lot to do and see underwater, there are a lot of things to do in LUX* South Ari Atoll that are on the land. When it comes to spa and wellness, LUX Me Spa and its overwater treatment villas offer to experience the inspired by Zen, own reboot. This is a unique concept that combines fitness, SPA, healthy food and yoga retreats in one place. The spa will include a traditional Chinese tea house, a dedicated skin and body care area, an extended area for massages and relaxation overlooking the lagoon. The wellness pavilion Zen wellness accommodates a wide range of non-traditional medicine methods and activities, including yoga, meditation, pilates, tai chi and qigong under the guidance of the wellness concierge expert. The updated menu of treatment procedures offers a full range of branded massages and scrubs by LUX Me. New LUX* South Ari Atoll intends to establish six new reasons to stay in LUX. The piquancy of staying at the resort, LUX South Ari Atoll should add a number of seminars and workshops Expert Led. Each month the resort will meet with the leading experts of creative and inspiring professions. Guests can refresh their drawing skills with the artist Corinne Dalle Ore, focus on exposure and coverage with world-famous photographer Michael Freeman, or learn to breathe more deeply and master the art of meditative techniques with Gansam Bhavnath to name a few. Every LUX* Resort & Hotel has a tree of wishes. Tie your personalised unique ribbon around one of the enchanting branches and make a wish. Whilst they cant guarantee your wish will come true, they can promise that once a year one tag will be selected and the lucky person will win a free LUX* holiday. Beanbags? Check. Fresh popcorn? You bet. Ice cream? Naturally. Our al fresco cinemas show blockbusters, family classics and much more - all under the stars, and completely on the house. LUX * South Ari Atoll is the embodiment of barefoot chic on a tropical island in a luxurious resort in the Maldives, with kilometers of beaches, charming water villas and world-class diving. Suitable for couples and families alike. In general, reviews for LUX* South Ari Maldives Resort are very good, with nearly every guest reporting an ideal stay on a paradise-like island. The rooms, food, staff, and service all get high marks from most, though a few do point out that the food and some other things can be expensive, which is actually true throughout the Maldives so it's important to be prepared for that. Diving: Ari Atoll - one of the best places for diving Maldives. World-class PADI diving centre and water sports. Bottles with surprises (ice cream, pizza, pareo, massage, coffee, a bottle of wine). Daily programs are displayed for adults and children. Guests are entertained by local artists and themed evenings. You will find a vintage red telephone box where you can make as many international calls as you like free of charge.